Food trucks are as quintessential to LA as delis are to New York or cafes to Seattle. Hundreds have popped onto the scene in the past few years and can now be often seen cruising along (well, in traffic) on the highways. They can be elusive though, at times opening for just five days a week during mealtimes, and always on the move. Here are some of my favorites–just make sure you check Twitter first, and bring cash on hand. The one that sparked it all. 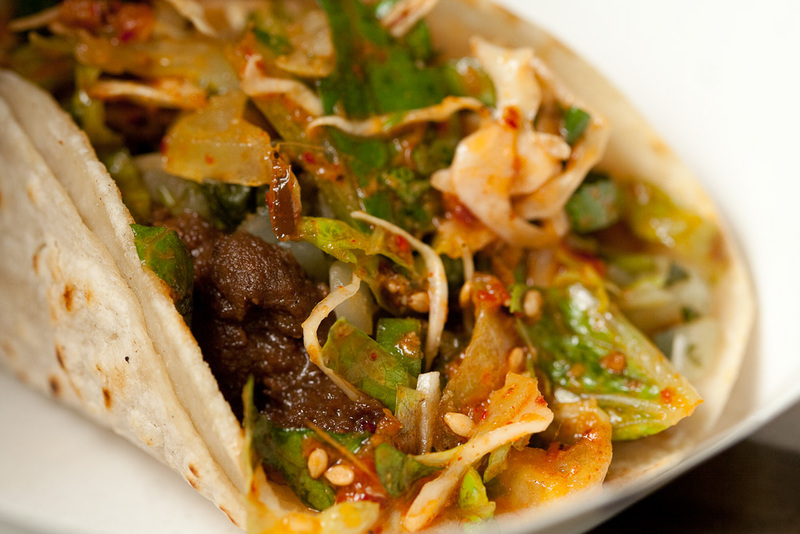 Chef Roy Choi didn’t know what kind of movement he would set off when he combined two LA staples, Korean barbecue with taco trucks, but the result was fusion done right. And we’re all the better for it. Grilled cheese in all varieties. Claim to fame is a sandwich with macaroni and cheese and slow cooked short ribs. Need I say more? This truck won the Food Network Great Truck Race, and for good reason. Don’t let its humble appearance or funny names fool you; this is one of the best burgers you can find in LA. Try the Witt-e or Waste ’em all, and get there early for cheddar-filled tater tots. One of the earliest trucks to come on the scene, Coolhaus remains a staple on the traffic-ridden streets of LA. An abundance of specialty ice cream and cookie flavors makes for creative, delicious combinations as ice cream sandwiches. If you’re feeling daring, try the Pistachio Truffle. When I was in college, I graduated from chili cheese fries to a San Diego staple, carne asada fries. Then Frysmith came along and brought it to a whole new level. Try the Rajas Fries, and you’ll never go back to McDonald’s. This list wouldn’t be complete without the requisite LA taco truck, the trend that started it all. You can’t go wrong with the many taco trucks littered across the city, but many swear by El Chato. A visit to LA just wouldn’t feel right without a late night taco run. This entry was posted in Los Angeles, Taste and tagged crystal, food trucks, street food, taste. Oooo great post Crystal. I love food trucks! There used to be a similar fusion taco truck in San Diego called Kalbiq (https://twitter.com/kalbiq), and the line would be so long on Taco Tuesdays! Looks like it isn’t active at the moment though, too bad. 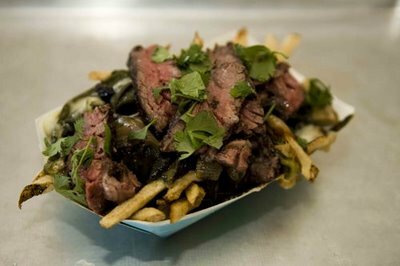 Fortunately, the food truck culture is getting bigger in SF bay as well – there is “Off the grid” around the bay area (for those who may be interested, check http://offthegridsf.com). thanks! i’m always on the hunt for great food trucks in all the cities i travel to. can’t wait to try some in the bay! I’ve had the Grilled Cheese Truck! Like a desert mirage, I stumbled out from a 15 hour workday and found it right there on the corner. I immediately started blowing up my coworkers’ phones that THE GRILLED CHEESE TRUCK WAS OUTSIDE. Then, around a mouthful of grilled cheese, I shamelessly begged the truck to come back anytime. Sadly, it never returned… the food truck that got away (can’t say that about a restaurant, eh? ).